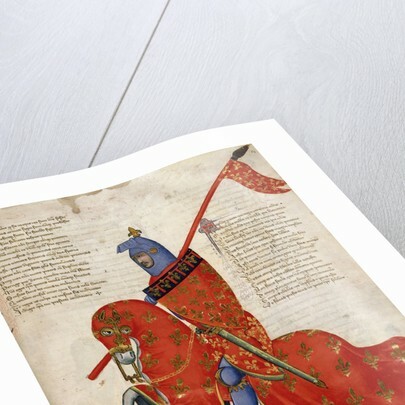 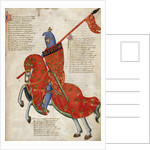 A mounted and armed knight of Prato on horseback. 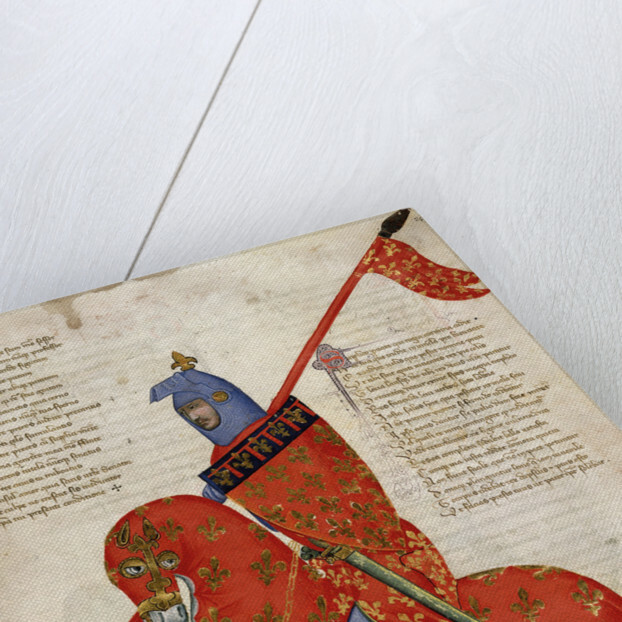 His shield appears to be a modification of the arms of Anjou. 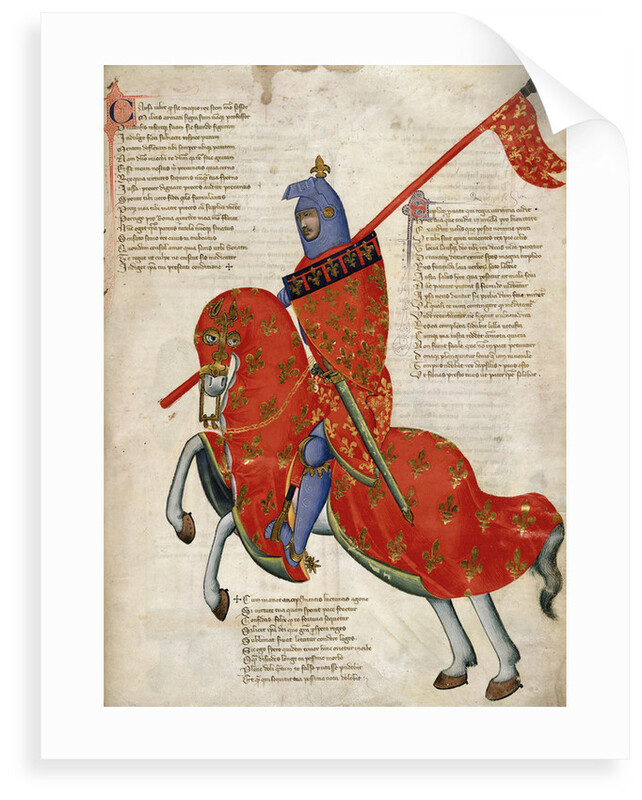 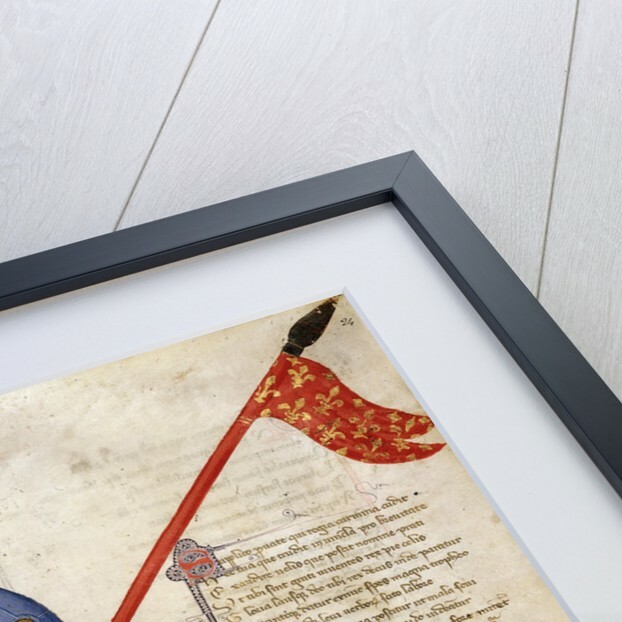 The image is from Regia carmina, Address to Robert of Anjou, King of Naples, from the town of Prato in Tuscany (c.1335-1340).